You are here: Home › News › News › SRLP legal intakes are now open! 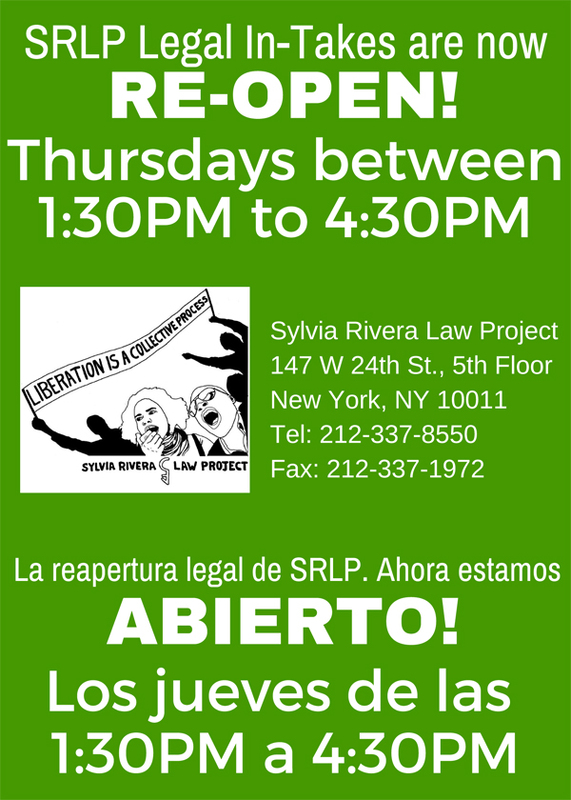 Our walk-in legal intakes are now re-opened! Walk-in hours takes place on Thursdays between 1:30 PM to 4:30 PM. Spanish interpretation will be available.